First Look: Boom! 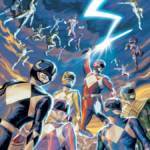 Studios’ Mighty Morphin Power Rangers Anniversary Special! The good people at Boom! Studios have put up a few preview pages for a brand new entry in their fan-favorite Power Rangers comic series! Mighty Morphin Power Rangers: Anniversary Special– created by Magdalene Visaggio, Joe Quinones & Sina Grace– will feature a series of standalone short stories set in the Power Rangers universe. Sadly, the release details for this anniversary special have not been revealed at time of writing aside from a release date of June 27th, 2018. Stay tuned to TokuNation as we keep you up to date on all BOOM! Studios reveals! Shout! 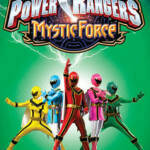 Factory has put up an official preorder page for the next Power Rangers Complete Series DVD release: Power Rangers Mystic Force! This 6-disc set, containing all 32 episodes of the series, will be released on May 23 2017! The price is a very modest 19.97 USD– a great bargain for any Mystic Force fans! So for those planning to purchase and horde keys – you’re out of luck! And for those hoping that a buddy might get them a set – time to put on your best puppy dog eyes impression and find out what it might cost you to part with this very limited exclusive. If you’re attending the show please be sure to look for our very own Kickback from our Talkin Toku Podcast! He is attending the show with our friends TrekkieB47 and TheCinemaSlob from the Ranger Command Power Hour Podcast! They are promising a live stream sometime during the show as well as tweeting updates from the show as they happen. Stay with us as we update you with all the news and information from the show! We will also have a special announcement to make sometime before or at the show regarding TokuNation so stay tuned for that as well! Power Rangers Seasons 13-17 Release Date Confirmed! Shout! 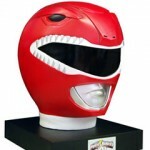 Factory’s last super-season boxset of “Power Rangers” finally has a release date. Years 13-17 will be available on April 1st, 2014! This final volume, containing SPD, Mystic Force, Operation Overdrive, Jungle Fury and RPM has a suggested retail price of 129.99 and can currently be pre-ordered from Amazon.com! 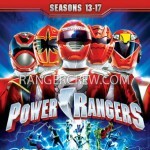 Power Rangers Set Seasons 13-17 Box Art Revealed at RangerCrew! 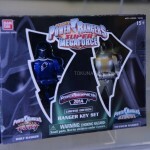 Revealed just this evening by our friends Fury Diamond and RangerCrew comes the box art for Shout! Factory’s Seasons 13 to 17 set of Power Rangers! The set includes Power Rangers SPD, Power Rangers Mystic Force, Power Rangers Operation Overdrive, Power Rangers Jungle Fury, and Power Rangers RPM! 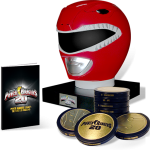 To check out what bonus features are included, check out the story at Samurai Cast Blog, the blog of Fury Diamond of RangerCrew.com! Special thanks again to Fury Diamond!